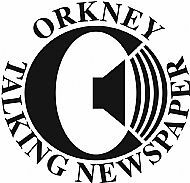 Orkney Talking Newspaper started in 1983 with a meeting between just three people. Using very basic equipment and supported by a handful of volunteers the first master tape was created on a borrowed tape recorder in a room at the council offices. The tapes were then sent out to 15 listeners. Things have moved on in the intervening years and the recordings are now made digitally and supplied on CDs with recording and production taking place within our building. Each week they prepare the script and dispatch the recordings to approximately 105 recipients with one listener in Canada accessing via the podcast. They now have fifty enthuisiastic volunteers and were awarded the Queen's Golden Jubilee Award for voluntary service by groups in the community in 2004. 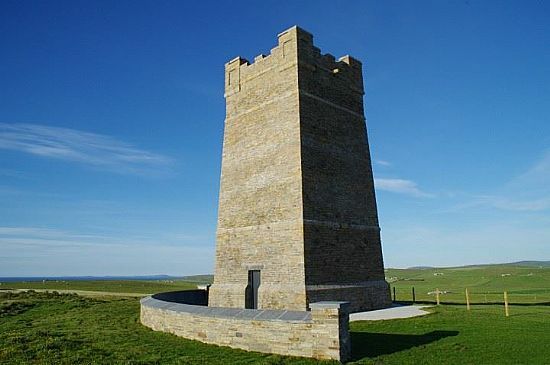 If you or a friend or relative living in or outwith Orkney has difficulty reading newspapers on account of temporary or permanent visual or physical impairment you can receive a free weekly CD or USB stick of news read from The Orcadian Newspaper and a magazine CD approximately every quarter. For further details contact Shona Wylie on (01856) 874972 after 6.00pm. You can also leave a message by phoning the Kirkwall Library on (01856) 873166.